iphoneSOS from Andrew J. Schuman on Vimeo. When the iPhone was released in 2007 it was hard to imagine the impact the device would have on our daily lives. There are lots of medical applications and connected devices that have turned the iPhone into a versatile medical device. Many of these I’ve reviewed previously on Medgizmos. 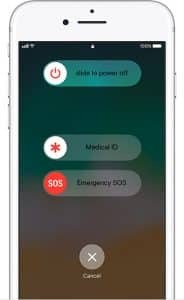 The ability to expedite calling of 911 was introduced in 2016 with IOS 10.2. Surprisingly few people of aware of this feature and why created the above video. In the settings tab click on Emergency SOS and enable Auto Call and select whether you’d like to enable the countdown sound (a siren). You can also click on Medical ID to record health information such as height, weight, medical conditions, allergies and medications. By pressing the power button 5 times you activate the 911 call countdown which can be cancelled if it was accidentally begun. Similarly you can configure your apple watch to auto call 911 in the watch settings application. You press and hold the power button to initiate a 911 call. The countdown alarm can also potentially frighten an assailant. Note that password protected iPhones give first responders access to your medical information that is recorded in your Medical ID application, just by pressing the button 5 times. This feature is truly a potential lifesaver. Would recommend sharing with patients. Google has also implemented a similar feature in the Android OS – please check the web for instructions.